It is impossible to mistake this species for any other Moringa. 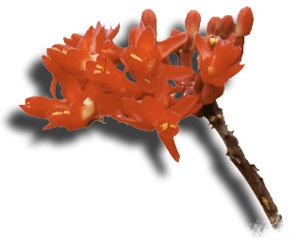 No other species has bright red flowers or the petal and sepal bases fused to form a long, tubular hypanthium. 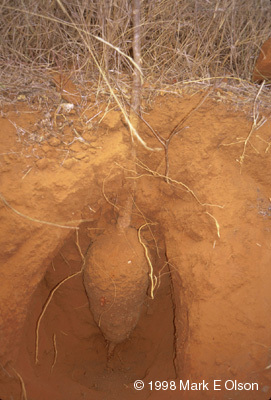 It usually has a large tuber deep underground with one small shoot reaching knee-high above the soil. If an individual is well-sheltered under a tree, it can scramble through the branches for over three meters. 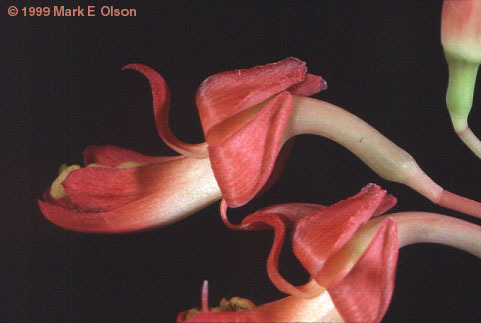 At the beginning of this century, the botanist Engler placed this species in its own subgenus Dysmoringa. 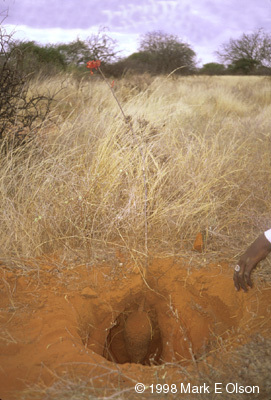 Moringa longituba grows in northeastern Kenya, southeastern Ethiopia, and much of Somalia. Like other Moringa species in the Horn of Africa, M. longituba is used medicinally, particularly for treating intestinal disorders of camels and goats, for which the root is given internally. 1. 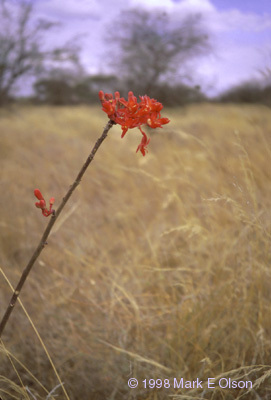 Habit, Mandera district, Kenya; 2. 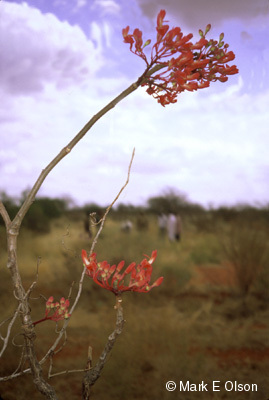 Habit, Wajir district, Kenya; 3. 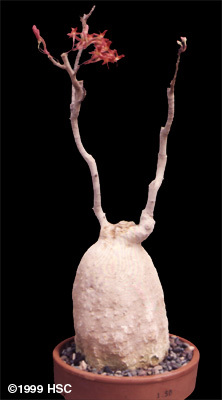 Habit showing tuber, Wajir district, Kenya; 4. close up of tuber; 5. 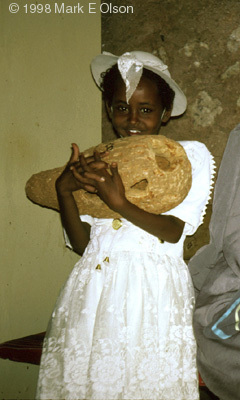 Somali girl with large tuber, Wajir, Kenya; 6. Moringa longituba collected by Frank Horwood near Las Anod, Somalia, over 20 years ago. This plant is still thriving in the collection of Arid Lands Greenhouses; 7. 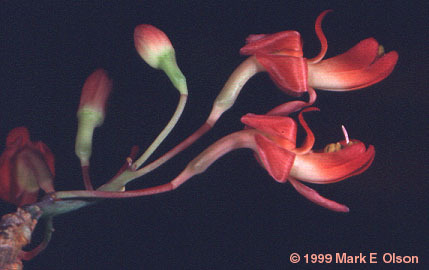 Inflorescence of plant from Wajir area; 8. Flowers of plant from Wajir area.